Goodreads Summary: 15 year old Tiger Lily, proud and fierce, wild and misunderstood, doesn't believe in love stories or happy endings. Then she meets the teenage Peter Pan in the forbidden woods of Neverland, and immediately falls under his spell. Peter is unlike anyone she's ever known. Impetuous and brave, big-hearted but hard to reach, he both scares and enthralls her. As the leader of the Lost Boys, the most fearsome of Neverland's inhabitants, Peter is an unthinkable match for Tiger Lily. Soon, she is risking everything - her family, her future - to be with the haunted, hunted, courageous boy who loves her. When - as a punishment for her rebellious ways - she is faced with marriage to a terrible man in her own tribe, she must choose between the life she's always known and running away to an uncertain future with Peter. With enemies threatening to tear them apart, the lovers seem doomed. But it's the arrival of Wendy Darling, an English girl who's everything Tiger Lily is not, that leads Tiger Lily to discover that the most dangerous enemies can live inside even the most loyal and loving heart. Goodreads Summary: When Erika wakes up after a horrific car crash, she finds herself somewhere between earth and heaven, between life and death. She doesn't want to accept help from Jeremiah, who she's not sure she can trust, even as she finds herself drawn to him, following him into a grim city of souls. She's not sure who wants to help her and who wants to hurt her. And she's desperate to get back to her children. Shawn's never thought about having to shoulder the responsibility of caring for his young sister Megan and his reckless older sister. And he never imagined that the three of them would find themselves in a haunted wood, sometimes chased, sometimes assisted, never sure where they're headed. 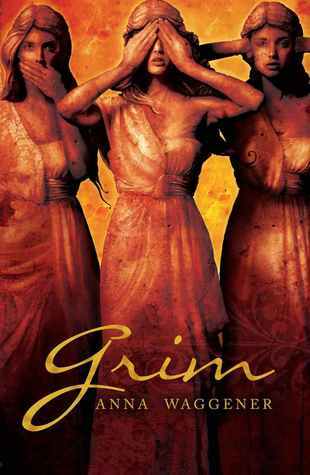 With Grim, the terrifically talented Anna Waggener delves into the place where myth becomes reality, where family can distort you as easily as it cares for you, where death and eternity meet. Why am I waiting on Tiger Lily and Grim? 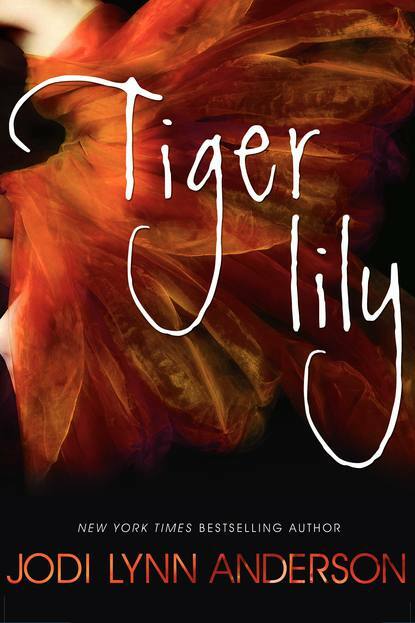 Tiger Lily is one of my most anticipated books of the year (the summary sounds fantastic!) and I can’t resist the promise of mythology in Grim. The cover of Tiger Lily is gorgeous! Plus a retelling of Peter Pan. Count me in! Tiger Lily is my choice too! I have seen it so many times this week. It's going to be really popular I think. It sounds AMAZING! Both are new to me! Wow....Tiger Lily sounds fantastic. Thx! Wow Grim sounds really good, this is the first I'm hearing about it! so thank you for sharing with me!! Both of these books sound awesome. You're the second person I saw post Tiger Lily and I'm super psyched for it! Okay, now THESE sound really good. I've never been a Peter Pan fan, but maybe this book is JUST what I need to become one. Thanks! Both of these are ones that I'm anxiously waiting for as well! The covers are both really great, particularly Tiger Lily. Great picks.